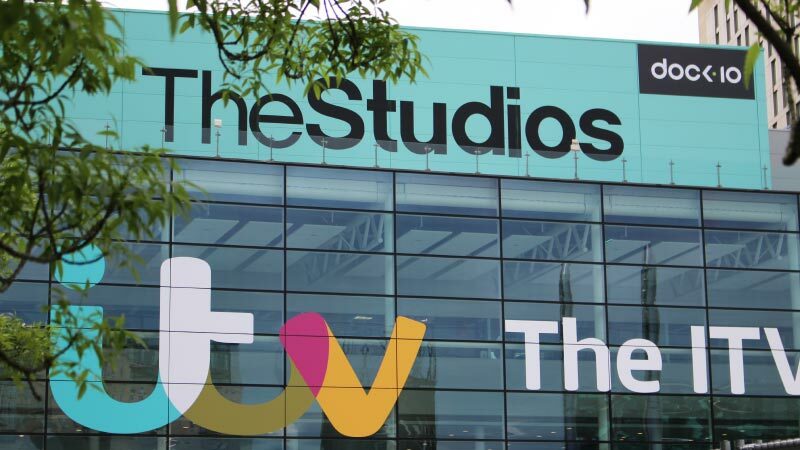 The Studios, MediaCityUK has announced that is rebranding as dock10. There are several key reasons behind the decision to rebrand, as revealed by dock10 Commercial Director, Ian Munford: "We are an independent facility, and so wanted to create a distinctive brand that works across all our offerings, studios, post-production and media services. 'The Studios' was always intended to be temporary, as it doesn't really describe the full extent of what we deliver to customers. The name dock10 is a nod to the physical location of the facility, the original plans for the Manchester shipping canal showed plans to build a 'Dock 10,' and also highlights that we are residents of MediaCityUK, alongside the BBC, ITV and many other media companies." dock10 offers unique digital architecture which connects the studios with the facility's post-production services and those of other post providers, enabling customers to deliver programmes on time and on budget. Ian Munford adds: "Whilst we deliver media services to companies across the UK, we're embracing the regions strong heritage and the advantages of our physical location. The feeling internally is that dock10 has finally arrived, albeit a 'dock' suitable for the 21st century. Our locality is unique, as media companies sit alongside each other as a connected community. Communication is at the heart of MediaCityUK, where many different parts of the value chain sit alongside each other united in their passion to deliver media content of outstanding quality. As one of those companies we've decided it's time to communicate exactly who we are, and what our customers can expect." Dock10's facility, one of the most technologically advanced in Europe, is already a partner of choice for the BBC, ITV, C4 and Sky. dock10 is also proud to cite Dragon's Den, The Sarah Millican Show, John Bishop's Only Joking, Baggage, MOTD and Sports Personality of the Year as just some of the fantastic programmes to be produced by the talented in-house team, which has overseen more than 700 hours of production since launching in April 2011. As the single largest independent production facility in the UK, dock10 is geared towards supporting many companies, all with different budgets and different requirements.